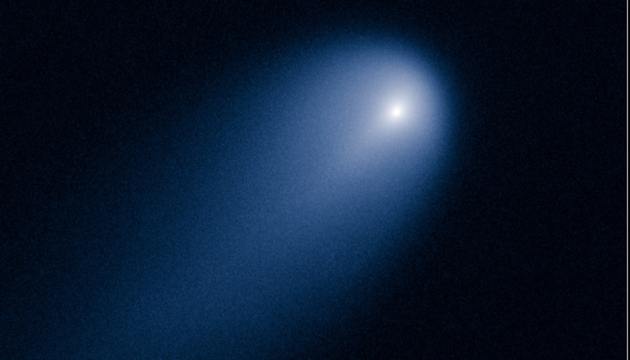 Comet ISON: Comet of the Century or Fanciful Fluff? It's been said that in order to be noticed, you have to do something daring and bold. A comet named ISON appears to be a thrill-and-glory seeker, for well in advance of demonstrating its potential as a possible "comet of the century," it has already garnered more attention than comets or asteroids that pass harrowingly close to the Earth. This comet, discovered in 2012 and named after the International Sky Observers Network (ISON) through which it was spotted, has taken a couple of dares to win a spot in history--or at least some media buzz. First dare: get in front of a camera. On October 1st, ISON will pass within seven million miles of Mars (which is a lot closer than it will ever get to Earth, in case you were wondering if it's a good time to restock your bunker). This gives NASA's Mars Reconnaissance Orbiter (MRO) and its huge HiRISE camera a front row viewing seat, and NASA is planning to take advantage of this by redirecting MRO's attention to focus on ISON. This sneak preview of ISON should tell us a lot more about the comet's size, mass and composition, giving us ammunition to make some predictions on how spectacular (or not) it may become later in the fall. But beyond how bright and breezy ISON may grow, another factor depends critically on the comet's physical stature. That's the second dare: ISON, as it turns out, is a "sun-grazer," one of that breed of comets that risk it all by buzzing the sun. Some of these actually fall into the sun and are completely vaporized, like moths to a candle flame. On November 28th, ISON will reach its closest approach to the sun, making a sharp hairpin turn as it swings through perihelion and is flung back toward deep space. If we were talking about a roller coaster ride, this would be the point when the coaster swoops through the bottom of the arc attaining its highest speed. On that day, the comet will be less than a single solar diameter from the Sun's surface--so close that someone standing on the comet's surface would look up and see the sun spanning a quarter of the sky! If ISON survives the intense solar radiation and powerful gravitational tidal forces brought to bear by this close encounter, then it has a chance to put on a really good show for us here on Earth. Will it survive? That isn't certain and won't be until the end of November. But after MRO's observations in October, we should have a better idea of the odds. If ISON is below a certain mass, then chances are higher that it will break apart during its Icarus-style sun-skimming stunt. On the other hand, if ISON weighs in heavier (oh, let's say 5 to 10 kilometers in diameter--something in that class), it has a much better chance of emerging intact, and the heating from its near-sun experience may produce a significant coma and tail, potentially lighting up the night for weeks. This month, ISON is already showing up in telescopes, though it isn't much more than a smudge. As we move into October and November, it will grow brighter, if only because it will be getting closer to us as well as its source of illumination, the sun. Though it's too early to tell how bright it will get, ISON will rise in the east in the early morning before dawn. A bit after mid-November, ISON will get lost in the sun's glare and pass from our view until after its potentially fateful date with destiny on November 28. If we ever see it again, ISON will reappear in our skies sometime in mid-December. If it lives up to some of the more optimistic predictions, ISON could be a great sight to behold. If not, do we call it a fizzle, a dud? Here's how I like to think about it: Even if it doesn't live up to the hype, ISON's daring trajectory has already guided our thoughts along paths to exciting possibilities that we don't usually consider, plunging our imaginations on a wild solar-coaster ride and filling our fancied nights with bright comet fluff. Pretty good work for a comet yet to prove itself.